STOP Fukushima Operations by TEPCO. They can kill us all. Japan Govern, ONU, all contries. 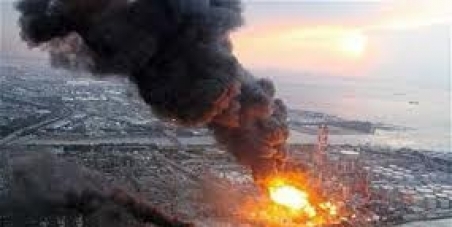 In this moment, 15,000 atomic bombs are about to explode in Fukushima's nuclear plant. Especialists from Japan and the world says that we can live in November 20th, an apocalyptic extermination of life in the Earth.